Arkansas’ first season under Chad Morris in 2018 was far from ideal. The Hogs struggled to a 2-10 finish, losing all eight SEC games by an average margin of 23 points. The 2019 Arkansas recruiting class is among the best the program has had in the era of recruiting ratings. The Razorbacks have already signed 7 247Sports composite 4-star prospects with 3 more expected to sign in February. If Arkansas lands 10 4-star signees, that would be exceptional for this program even if it were coming off a great season. So while the Hogs struggled on the field, the recruiting momentum was a promising distraction. 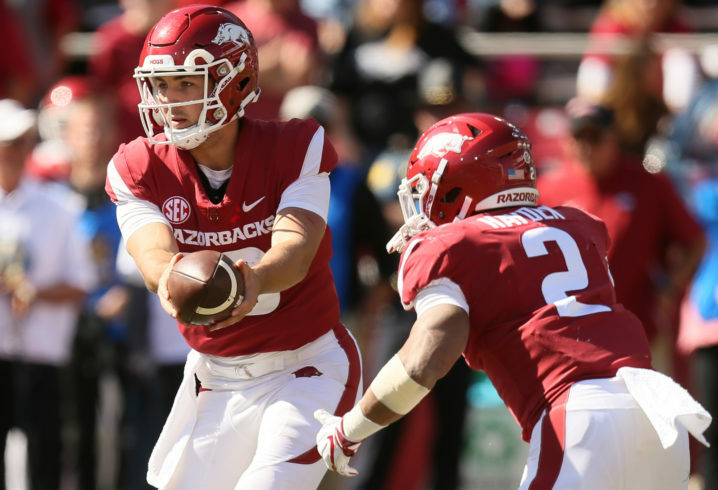 The Razorbacks had just one victory over FBS team — a 23-0 triumph over Tulsa. It was obviously the defense that led the way to a win, but it also marked the first collegiate victory as a starter for freshman quarterback Connor Noland. With his ability, it could be just the first of many wins to come. He completed 62.5 percent of his passes for 124 yards with a touchdown and an interception in the victory. He’ll compete with grad transfer Sam Hicks, who played for Morris at SMU. Linebacker Derrick Munson is no longer with the Razorbacks. He announced plans to continue his career at Nicholls State, an FCS program close to his family in New Orleans. While he never made a huge impact on the field, he certainly seemed to off it. Seeing his friendship with Tori, a little girl whom he first met at Arkansas Children’s Hospital, was something special. Tori even visited him at practice and Derrick made midseason requests for another meeting. This is the type of thing that makes you realize these players can have a very real positive impact outside of the game. Kudos to Munson for being that type of person. Arkansas didn’t have much luck filling Razorback Stadium in 2018. That had nothing to do with the facility itself, though. The Hogs had a new south end zone in 2018, which features a top-notch locker room and luxury boxes among other things. It’s certainly much easier on the eyes than the previous version. It’s also something that surely has given Arkansas a decent recruiting boost. All of the facilities are now up to date with the best in the country. And once the Razorbacks get back to packing the stadium, things should be considerably louder on the field with this more enclosed version. It’s completely understandable Arkansas fans want to forget most of the 2018 season. However, if you keep some of the low points stored in the back of your mind, it’ll be that much sweeter if Morris does turn this thing around. So don’t totally forget about that punt return against North Texas or Rakeem Boyd tackling Jordan Jones against LSU. Those are the moments that, assuming Morris is the right fit, will give you a greater appreciation during the rise from the bottom. 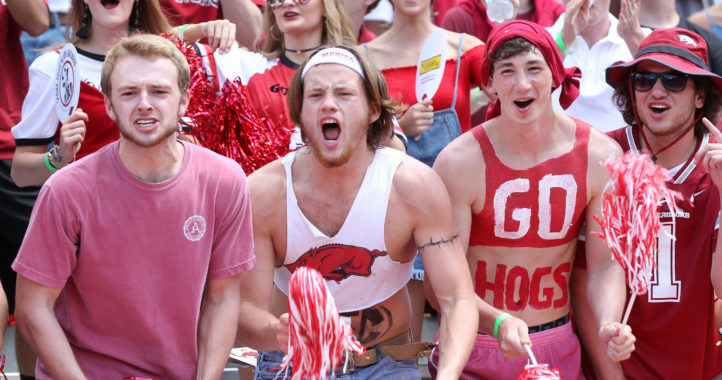 Longtime Arkansas beat reporter Trent Shadid covers the Razorbacks for Saturday Down South. I’m not sure what I would consider memorable about their season but they have done well recruiting all things considered. Bama…what is memorable to me is that a new coach took a very young team that won 4 games the previous season, had 17 returning starters, and managed to post the first 10 loss season in school history. It’s even more memorable when the fans blame the losses on the players (and the former coach) – not the HS coach and his embarrassingly poor HS coaching. I haven’t really heard anyone blaming the players for the product on the field this year. 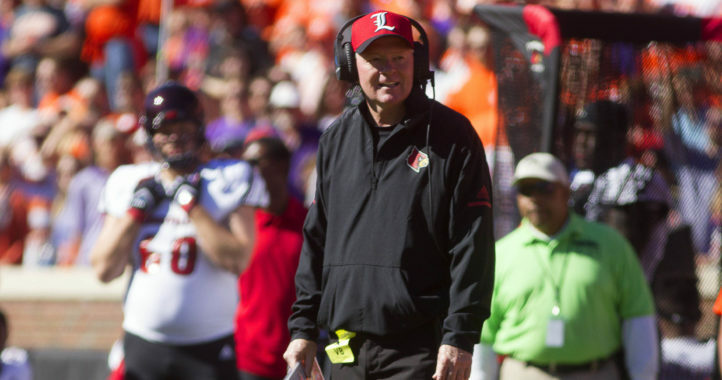 What I have heard is that it’s taking time to implement his offensive scheme, which is a complete 180 from what we were doing, and it will continue to take time. Also some of the players on the roster, looking at you WR’s, just cannot physically do what he’s asking of them, it doesn’t make them bad players it just means they are not a fit for THIS type of offense. As far as blaming the previous coach, he does deserve to shoulder some of the blame, OL recruiting was horrendous his last couple of years. Morris looked like a guy coaching in a power 5 conference for the first time this year, he deserves time and he will get it be patient. Well, its true that the good moments, few and far between, were buried under really bad ones. I wouldn’t say I was for the Razorbacks signing up Mr. Morris, but since they did I get behind him and hope that he evolves into a very good to great college coach. As far as this past year goes it is possible that quite a few players just weren’t INTO IT. If that were so, then there wasn’t much choice for Morris but to play them, seeing there was no one else to plug in. Once CCM gets his pieces in place, more will be known about his caliber. if Morris does turn this thing around.